Fertigation is the process of injecting soil amendments, fertilizers, and water-soluble products into the irrigation system. Fertigation related to chemigation is a process of introducing chemicals into the irrigation system. Various fungicides, pesticides, and herbicides are used in the chemigation process. Fertigation is most commonly used in the horticulture and agriculture to improve the nutritional values in plants. The advantages with the Fertigation process are increase in the nutrient absorption by plants, reduce in the chemicals and fertilizers requirements, minimize the soil contamination, reduction in soil erosion, and among others. Increase in the population demanding for healthy food products, growing need for nutrient requirement for plants, increase in nutrients leaching, and demand for quality and yield of crops are anticipated to fuel the fertigation and chemigation market. Furthermore, increase in the adoption of newer agriculture practices, decrease in labour cost with fertigation process, and reduction in time and water for farming are expected to propel the fertigation and chemigation market over the forecast period. However, problems with nutrient dose application, stringent regulatory policies for the chemigation products approvals, and high cost of the products are expected to restrain the growth of the market over the forecast period. Fertigation and chemigation market is growing at a significant CAGR owing to increase in the demand for healthy food products and better yield. Factors like increased crop protection and production against the drought-like situations are the factors driving the chemigation market. 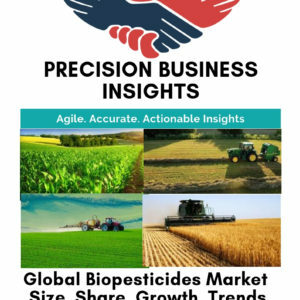 Market players are focusing on the development of newer insecticides, fungicides, herbicides, and fertilizer products to garner larger market share. Moreover, reduction in the water and fertilizer wastage and decrease in the time and labour cost due to fertigation process are bolster the fertigation and chemigation market. 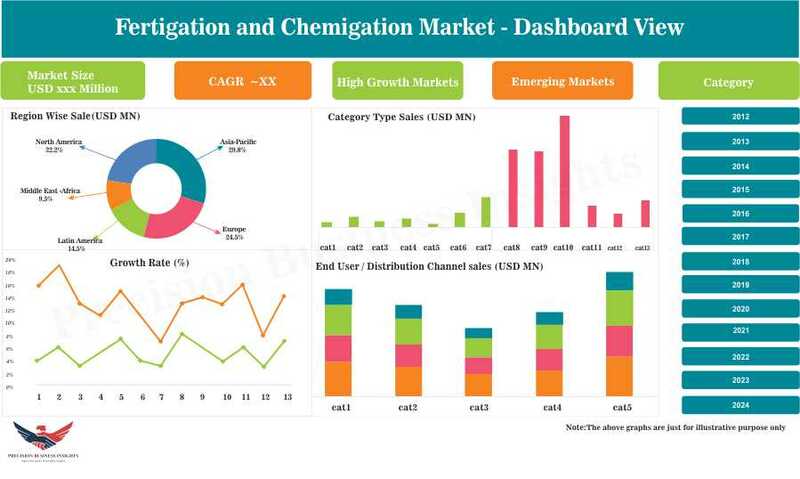 In addition, acquisitions and mergers, collaborations, product approvals, and product launchings are the strategies followed by the competitors for dominating the chemigation market. Fertigation and chemigation market is segmented into North America, Europe, Asia Pacific, Latin America, and Middle East and Africa. North America fertigation and chemigation market accounted for significant share in global fertigation and chemigation market owing to increase in the population demanding for quality food products, high awareness about the advantages of fertigation and chemigation process, technological advancements in the agriculture farming, and increase in the development of newer chemigation products in the region. Europe fertigation and chemigation market is driven by high adoption of novel agriculture farming technologies, rise in R&D activities for the innovation of newer products, and increase in the agriculture farming are boosting the fertigation and chemigation market. Asia Pacific fertigation and chemigation market is an emerging market due to high dependence on farming, better irrigation system, and adoption of newer technologies in farming process. Some of the players in market are Rivulis Irrigation (Israel), The Toro Company (U.S.), Valmont Industries, Inc. (U.S.), Jain Irrigation Systems Ltd. (India), T-L Irrigation Co. (U.S.), Lindsay Corporation (U.S.), EPC Industrie Limited (India), Nelson Irrigation Corporation (U.S.), Netafim (Israel), and Rain Bird Corporation (U.S.) to name a few. In October 2017, Jain Irrigation Systems Limited acquired U.S. micro irrigation entities Agri-Valley Irrigation, Inc. and design and Construction, Inc. to provide a unique platform to develop a fertigation process for better yield.